Some people will certainly say, “Well, it’s only just wine.” But the destruction to wineries in California's wine country means much more than that. WASHINGTON — Fires in the Sonoma and Napa valleys have devastated thousands of lives and have caused financial loss in the hundreds of millions of dollars. But beyond the fiscal and physical wreckage, there is the overwhelming sense of anguish as generations of hard work and tradition literally went up in smoke. Many of my friends have lost their homes and their livelihoods. And while they are safe and will eventually rebuild, their current situation is calamitous. 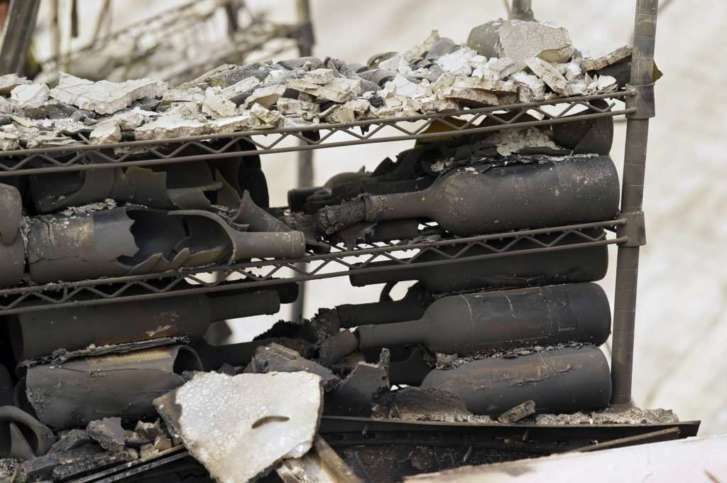 Most wineries affected by the fires had already harvested their grapes, so the product of their efforts was wiped out when their facilities were burned to the ground. In some cases, multiple vintages of wine have been lost. Some people will certainly say, “Well, it’s only just wine.” But it is much more than that. It is the obliteration of dreams. It is the bitter result of hard work and investment. It is the loss of jobs for tens of thousands of workers, whose living depends upon the industry. From farmers to wine shops, hotels and restaurants, schools and hospitals, and everything in the broad spectrum between, the effects of this tragedy will be felt for a long, long time to come. The economic impact alone is staggering. It is estimated that Sonoma and Napa counties generate over $26 billion a year locally from the wine industry. But there are also reasons to be hopeful, and to appreciate a community residents who have come together to help one another in a time of crisis. Stories of sold-out hotels setting up beds in their lobbies to accommodate everyone who needed a safe place to rest, restaurants turning into makeshift mess halls for first responders, caravans of ordinary citizens rescuing people, livestock and pets. Yes, it may only be wine, but it represents so much more on so many levels. Overwhelmed? Certainly. Defeated? Not by a long shot. And now we have an opportunity to support a community that could certainly use a lot of help and a few good prayers. So this week’s Wine of the Week column will feature wines from a few of the damaged wineries in Napa and Sonoma. Raise your glass to resilience and renewal for everyone affected by these fires in wine country — because it’s about more than just wine.